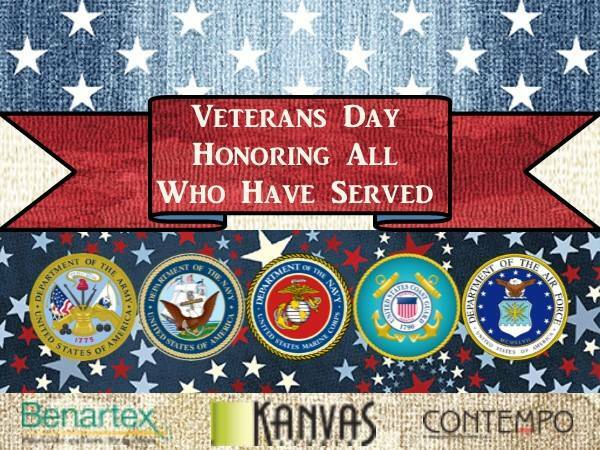 Today especially, we'd like to send out a extra special thank you to veterans of our Armed Forces. Their sacrifices created and sustained our country, and we are grateful to them! One wonderful way that we as quilters can thank veterans is to make and donate quilts. Both Quilts of Valor and Quilts of Honor are wonderful organizations that work diligently to award quilts to veterans. If you know of any other organizations that serve this purpose, please leave a comment below! We currently have two patriotic-colored collections idea for making quilts for veterans. Each collection includes a free quilt pattern; check with the organization you're working with for size requirements. Oh My Stars! 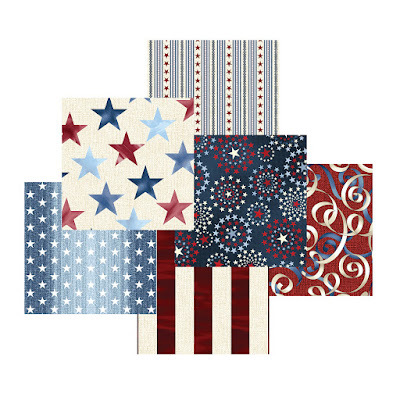 by Dover Hill Studio is chock-full of stripes, stars, and even fireworks! Use Oh My Stars! 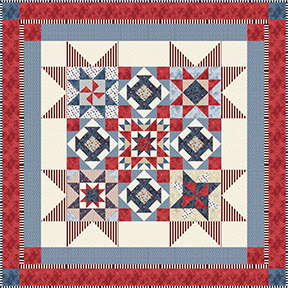 to stitch a truly patriotic quilt: the "American Dream" quilt designed by Diane Nagle. Download the free quilt pattern here. 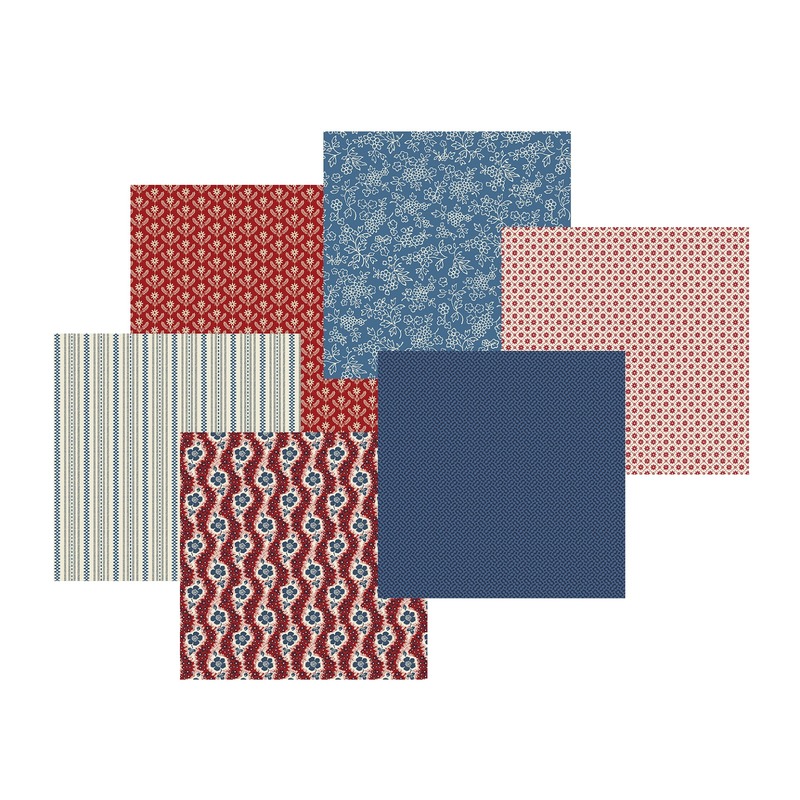 The Heritage collection, also by Dover Hill Studio, features mini prints in shades of red, blue and cream, reminiscent of designs from the turn of the century. 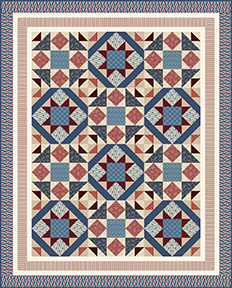 Heidi Pridemore's "American Tradition" quilt also features stars, perfect for a veteran. I'm proud of my husband, my son, and all those who serve in the military, police, and fire fighters who keep us safe and secure! Gorgeous line of patriotic fabric that will lend itself to quilts for men and women who serve our country. Thank you. Just a note that Quilts of Valor are not gifts. They are awards made to service people for their sacrifices they make and have made for our country. The QOV Foundation is very firm in their distinction because of legalities. Thank you for beautiful fabric that make these quilts so special. Thank you for pointing out the distinction!